At Grasshoppers we pride ourselves in the physical and mental development of our students. 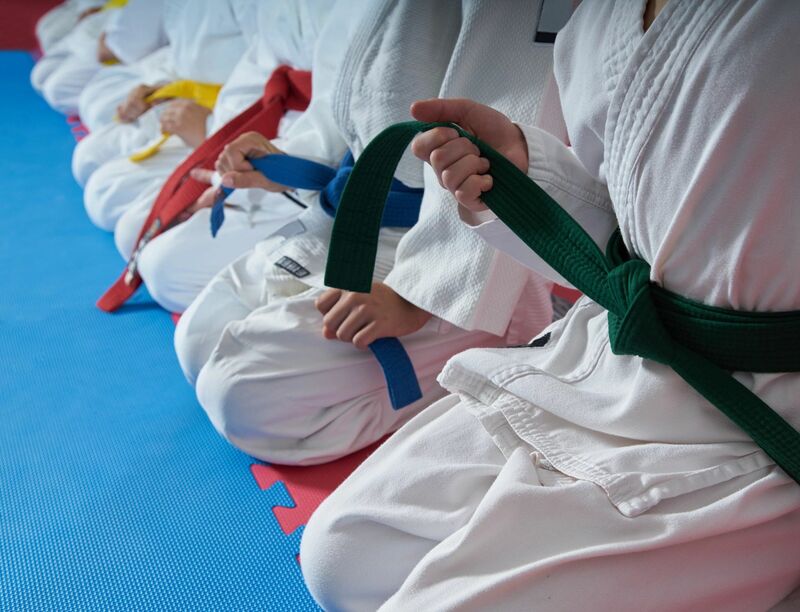 Our classes are designed to improve self-discipline, concentration skills, large motor skills, hand/eye coordination, confidence and leadership skills. By combining traditional skills with innovative techniques, our classes are second to none. A strong emphasis is placed on mutual respect, responsibility and effort. All of our classes at Grasshoppers are done in a group environment. Our class structure is based on skill and belt level, not by age. There will be children, teens and adults in the same class, however they are instructed at different levels. It is highly recommended that the child entering the program be school age and up, however some children require more time to develop than others, so we offer two free trial classes where we evaluate the student, and the students and parents have the ability to evaluate us! Parents are encouraged to take class with their child as Grasshoppers is one of the only programs in Canada where both parent and child can take part in the same class at the same time. Should you have any questions please feel free to speak to one of our staff members.